An average family day on the beach turned sour when this young boy found a girl trapped in a sand cave.The 5-year-old Alysa Bostic was playing in the sand at Marina dunes. She liked digging caves out of the dunes with her friends. But, this time she decided she would fit into the small cave she made. Unfortunately, not all went as planned. Upon entering, the cave collapsed leaving Alysa trapped. Lucky for Alysa, an 11-year-old boy, Connor Fitz-Gerald realized something was wrong. He saw her bag and started digging in the dune only to find Alysa. Panicing immediately, Connor saw there were no adults nearby. Acting quickly, he aimed his digging towards her head to get that out first. After managing to pull her body out, Connor realized she wasn’t breathing right. Connor needed to act fast to save her life. 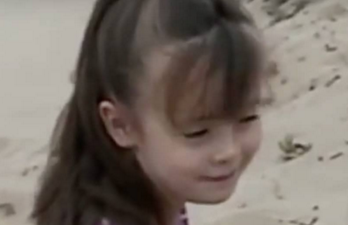 Young Alysa was unconcious and covered in sand. Connor decided to take a chance and try out CPR though he had no training. Luckily, it worked! When they arrived at the scene, her parents called 911. When paramedics came, they said without Connor she would have died. Check out more in the video below!